CEMA Nurse Leadership Council | CEMA :: Strong. Active. United. 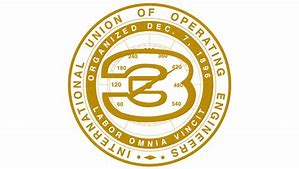 The International Union of Operating Engineers’ has a long history of representing healthcare workers and in particular nurses. In fact, IUOE District Council 1 of New Jersey is made exclusively of Health Care Workers. They have been advocating for patient safety and higher standard for Healthcare providers for decades. What you also may not know is that OE3/CEMA represents over 200 nurses (who are Nurse Managers, Public Health Nurses Managers, Case Managers, Admin Nurses, and other Nurses leaders throughout the SCVHHS). OE3 thought it was important that CEMA Nurses have an organization that would allow nurses to meet with one another to collectively address the new challenges facing healthcare workers and specifically nurses. OE3/CEMA created the CEMA Nurse Leadership Council (CNLC) to allow our CEMA represented RN’s to bond professionally and work collectively to resolve matters that disproportionally affect RN’s throughout the Health and Hospital System as well as being a leading voice for quality health care in Santa Clara County. On July 5th of this year, over a dozen CEMA Nurse leaders gathered for the inaugural meeting of CNLC at VMC to discuss pressing issues affecting the Nurses in the system. CEMA Nurse Leaders discuss their concerns about young nurses leaving the system after a year or two choosing positions in private hospitals rather than stay at VMC. Nurse Staff Retention is a serious issue at VMC. The CNLC are drafting several solutions to address this and other matters with SCVMC. Recently the CNLC raised serious safety concerns for RN’s at VMC. Due to a changing patient population, there have been a series of violent incidents at the hospital. OE3 put the VMC on notice that if these concerns aren’t addressed timely manner the County could have potential liability. CNLC, OE3 and the CEMA Political Action Committee are working with the HHS to possibly address these concerns through legislative means. OE3 has utilized its substantial political influence to assist in CEMA related concern in Sacramento in the past. CEMA’s affiliation with OE3 continues to pay dividends for CEMA members.